Antibes, one of the most well known French resorts on the Côte d'Azur is located between Nice and Cannes, on the French Riviera. In the French department of Alpes Maritimes, it benefits from a Mediterranean climate, and attracts tourists all year round. The breathtaking sandy beaches have given Antibes an international reputation as ‘the place to be’ for holidays in the South of France along the chic French Riviera. Hollywood stars and famous artists choose Antibes as their ‘Pied-à-Terre’ in Provence by the Mediterranean coast, Pablo Picasso himself stayed at the Château Grimaldi in Antibes, which has since become a museum dedicated his art, housing one of the world's greatest Picasso collections. There are many other museums worth a visit during your holiday in Antibes, such as the Archaeology Museum, a 17th century fortress situated at the top of Promenade Amiral de Grasse in the old Bastion St André. The Naval Museum of Napoleon presents a collection of the Napoleon era such as paintings and items of clothing belonging to Napoleon, including one of his famous hats. 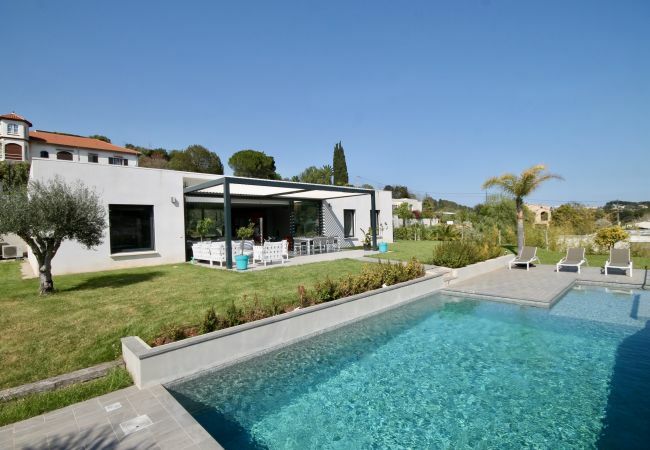 Holiday Rentals in Antibes For a touch of relaxation and Provence charm, make sure you stop by the Exflora Park, which is next to a large olive grove, and where there are different styles of Mediterranean gardens, dating from the Romans to the Romantics’ 19th century. Another luxuriant Provence garden to visit is the Eilenroc Gardens, planted with traditional Mediterranean trees such as cypress, pines, olive trees, rosemary and lavender; it boasts a breathtaking view across the bay of the Cap d’Antibes. If you are looking for a panoramic view of this French resort during your holiday in Antibes, then head out to the old lighthouse of Antibes. It offers one of the best views in the region over the French Mediterranean coast. 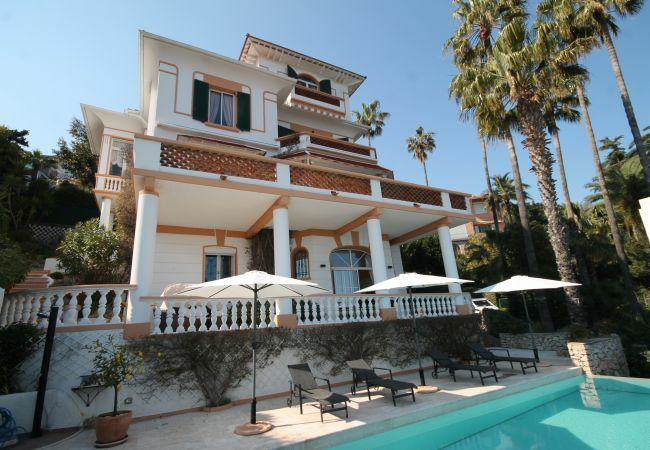 Home Sud, prestigious estate agent in Cannes offer a selection of luxury villas to rent in Antibes and holiday rentals in Cannes and holiday properties in nearby Saint Jean Cap Ferrat. Please call our offices in Cannes for further information on how to book your holiday in the South of France. We specialise in villas in Provence and self catering holiday apartments and villas in the South of France, along the French Mediterranean coast. Please contact our English speaking team +33 4.89.68.80.30, or by email contact@homesud.fr for further information on Holiday rentals in south France.